Life doesn't seem to get any easier for Maxwell Smythe Brown IV. He thought he could settle down with his soul mate, Sally, but the thugs who once worked for Indian intelligence are on his trail with both money and mayhem on their minds. Set on a pleasant resort island off Holland's coast, this, the second installment chronicling Brown's travails, finds him questioning his value and his values. Drawing on rusty skills - and a trick he learned from a bird - he tries to protect himself and those he loves from a determined and vengeful gang who torture and behead for sport. I liked reading a book about The Netherlands from another person's point of view. The way the things go in The Netherlands were very recognizable. I liked to read some of the language and about the landscape as well. The setting is what made the book for me. Sally: Sally is one badass woman! She is fierce, witty and knows exactly what she wants. I liked her better than the main person, Maxwell, who has a bit of a temper. Sally was the rational person and I like how she adds to the personality of Maxwell. Action: This book is full of action. A lot is happening and going on and I do think that the book is exactly as long as it should be. Around 200 pages is good, this makes it not too long and not too short for everything to happen. Netherlands: This is my country and I've lived there all my life. The research that had to be done to write this book, was properly done! The language, the police forces and the way the government works, as well as the landscape, everything matches! If you're curious about The Netherlands or if you're from The Netherlands; this is a nice and unique setting! Clever plan: The end of the book was a surprise for me. Maxwell and Sally were in a situation that was a hard one to get out, as far as I could see. Maxwell proves himself clever and has a great plan that slowly clicks into place! Death's so easy: Right at the beginning of the book, Maxwell's parents are involved in a tragic fire. The way Maxwell copes with this felt very weird to me. He lacks feelings whatsoever towards his parents and at some point has to make tough decisions about his father who is in the hospital.. Where were the feelings?! It was all so easy and almost forgotten after those first few chapters.. Mom's notes: At the beginning of each chapter, you read Mom's notebook about Native Americans. I don't get the relation with Maxwell, his family or The Netherlands and I felt like this didn't really add anything to the story. Maybe I didn't interpret it right..? Finally a book that takes place in my country, written in a different language than Dutch, yay! The setting is what made the book for me. I love that I can see that this author has done research and knows what he's talking about. The action, fast pacing and clever plot made this a nice read. "This book is the pony you were promised, but don't deserve." 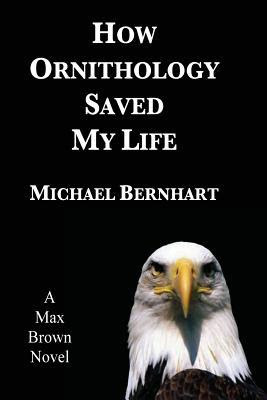 "I always felt Dr. Bernhart was too good looking to write something this brilliant." Have you read something about The Netherlands?